Zayn Kassam is the John Knox McLean Professor of Religious Studies at Pomona College, Claremont, California. A graduate of McGill University (Ph.D. 1995), she teaches courses on mysticism, gender, literature, ethics, and the environment. Kassam is the author of Introduction to the World's Major Religions: Islam (2006), and editor of Women and Islam (2010) and Women in Asian Religions (2018). She is also the section editor for Islam for the volume on Islam, Judaism, and Zoroastrianism for the Encyclopedia of Indian Religions (2018). 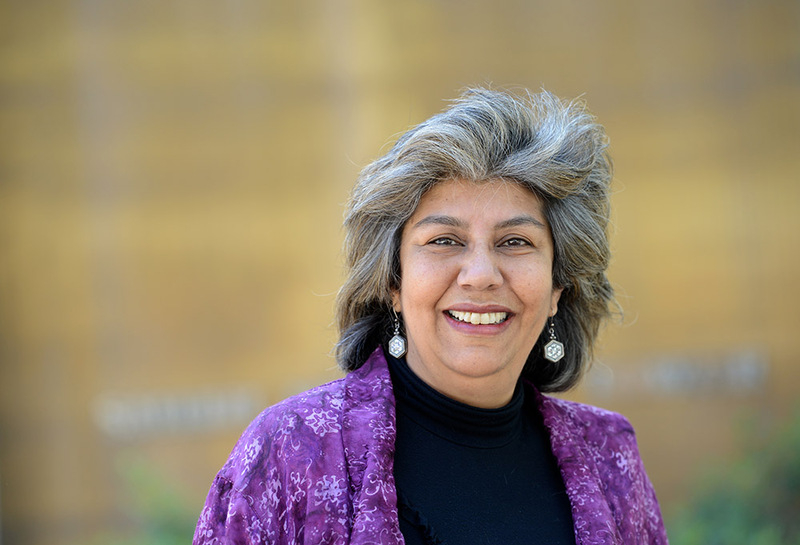 She has chaired the department of religious studies at Pomona College, and has coordinated the programs in Asian studies and Middle Eastern studies. She is currently the coordinator for gender and women’s studies, and the director of the Pacific Basin Institute. She serves on several national editorial boards, including the Journal of Feminist Studies in Religion and the Journal of the American Academy of Religion. “Re-Reading the Qur’ān from a Gender Perspective.” Chapter in Feminist Biblical Studies in the 20th Century. (Elisabeth Schüssler-Fiorenza, ed., Society of Biblical Literature Press, 2014). “Theologies and Ethics of Migration: Muslim and Christian Perspectives.” Co-authored with Susanna Snyder, Anna Rowlands, and Narzanin Massoumeh. Chapter in Rescripting Religion in the City: Migration and Religious Identity in the Modern Metropolis. (Alana Harris and Jane Garnett, eds., Ashgate Press, 2013). “Constructive Interreligious Dialogue Concerning Muslim Women.” Chapter in Women and Interreligious Dialogue. (Catherine Cornille, ed., Boston University Press, 2013). “Islam, Gender, and Peace.” Chapter in Terrorism, Religion, and Global Peace: From Conception to Praxis. (K. Kuriakose, ed., Gorgias Press, 2012). “Whom Shall I Kill?” Chapter in Encountering the Stranger: A Jewish, Christian, Muslim Trialogue. (John Roth and Leonard Grob, eds., University of Washington Press, 2012). “Necrophilia and Voyaging: Some Curious Connections.” Special Issue Celebrating and Cerebrating Mary Daly (1928–2010). Journal of Feminist Studies in Religion, 28:2, 2012. “The Challenges of Globalization for Muslim Women.” Chapter in The Oxford Handbook of Feminist Theology. (Mary McClintock Ferguson and Sheila Briggs, eds., Oxford: Oxford University Press, 2011). “The Gender Policies of Aga Khan III and Aga Khan IV.” Chapter 5 in A Modern History of the Ismailis. (Farhad Daftary, ed., I.B. Tauris and The Institute of Ismaili Studies, 2011). Introduction to the World's Major Religions: Islam (Greenwood Press, December 2006).